Departure from Agadir at 08:00 am heading to the plain of Souss (the largest orange grove of the region) passing by Taraudant, the small Berber town often called '' the little Marrakech ''; (optional visit), lunch at Taliouine or taznakht, then continue to Ksar Ait Ben Haddou (UNESCO’S World Heritage Site), visit the ksar, and then return to OUARZAZAT. Dinner and overnight in a Riad or Hotel. 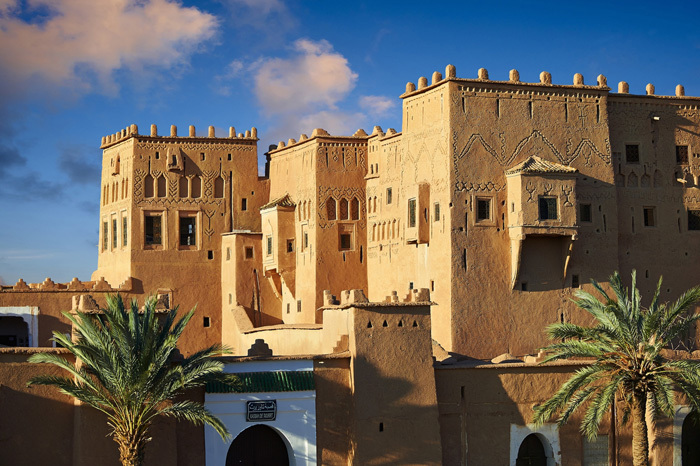 Breakfast then at 09.30 am start with the visit of the “Kasbah Taourirte '' in the center of Ouarzazate, and film studios then take the road to Zagora to admire the splendor of the Grand Canyon of the Anti Atlas. After crossing the Atlas (Tizi-N'Tanifelt), we arrive at Agdez, a small town where the valley begins. 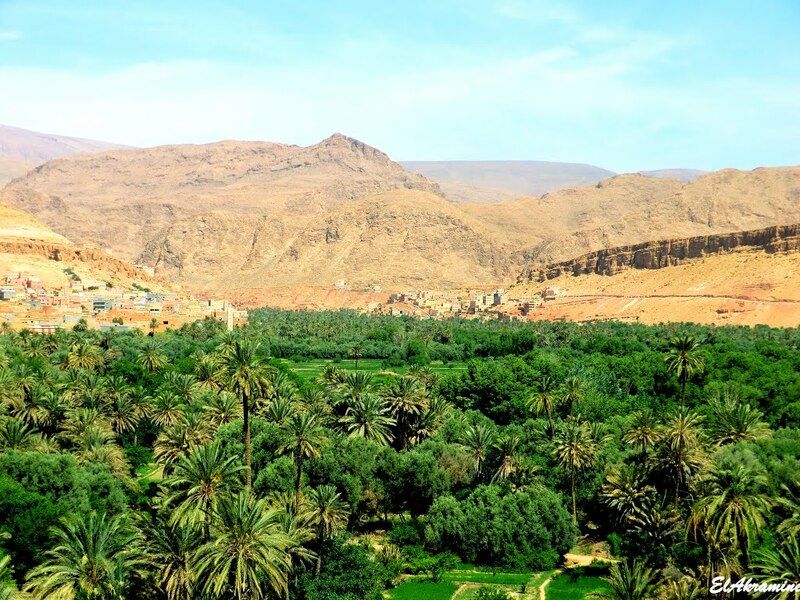 Stop for lunch just before starting on the remarkable trip to the valley of Draa, one of the largest palm groves of Morocco. During the whole afternoon we travel the length of this magnificent valley, stops and photo breaks at leisure. Arrival in Zagora. Dinner and overnight in a Riad or hotel Hotel. 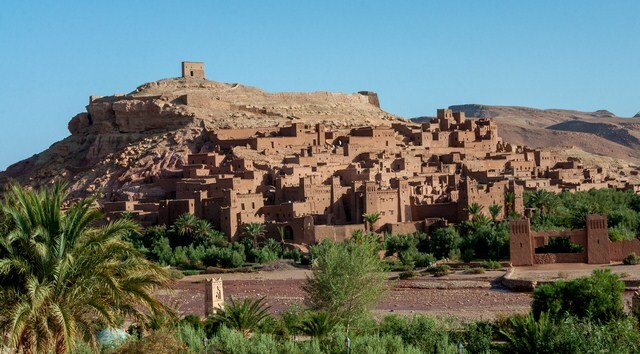 Departure at 10:00 am from Zagora heading south; stop at the town of Tamegroute and visit the underground kasbah, the Koranic library then continue to tinfou, stop and photo breaks at leisure and on to the last village in the Moroccan south- M'hamid El Ghizlane. Once there, a well deserved and appreciated mint tea is served. Just at the foot of the sand dunes, we board the 4/4 to cross the real sand dunes ERG CHEGGAGA, admire the dazzling sunset on one the most beautiful dunes of Morocco. In the middle of the desert, the night is spent partly in the large Berber tent for meal and sleeping and partly outside around the campfire for enjoying a drink and live activities of the evening. A delicious traditional dinner will be served including a traditional soup "Harira" a Méchoui (grilled lamb), tajine dish or couscous followed by a basket of fruit of season, mineral water and a bottle of wine for 3 people, tea and Moroccan pastries are included during the evening. Live Music: Evening with nomadic folklore, Saharawi typical music of the desert inspired by African rhythms. Overnight in bivouacs (nomadic tents). After breakfast board the 4x4 and return to the village of M'Hamid to join the your regular transportation and make the drive back crossing the wonderful palm grove of Draa and at the crossroads of Agdez go up the beautiful Anti-Atlas drive and down to the plain of souss to make the pleasant drive back to Agadir. Accommodation: In half board (breakfast & dinner). Transportation: By sedan (Skoda superb), mini-van (Mercedes Vito or similar), minibus (Mercedes Sprinter) depending on the number of customers. Transportation from and to the Bivouac by 4x4 vehicle. Camel ride on the sand dunes. * Number of participants: Minimum 02 people.